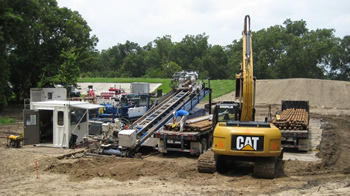 Pipeline Technology specializes in the safe, efficient, and reliable transportation of finished products and feed stocks through pipeline systems. Our unique business model goes one step further. We provide our clients the ability to do more with their capital budget. We finance, build, own, and maintain these systems in exchange for a long-term transportation agreement at fixed and competitive rates. Pipeline Technology provides the chemical industry the alternative to outsource construction, ownership, and maintenance of safe, cost effective and reliable pipeline transportation systems. Pipeline Technology’s unique business model provides customers with an alternative to the traditional approach of investing their capital in low return infrastructure projects. Outsourcing pipelines, storage facilities, compressor stations and other long-term investments to Pipeline Technology allows our clients to direct their capital dollars to projects which generate revenue and provide a higher rate of return. Pipeline Technology’s low overhead cost and longer-term view of these investments can often make the near-term cost of a pipeline more economical than alternative forms of transportation. In the long-term, pipelines are always the best investment for your transportation dollar. At Pipeline Technology we focus our full attention on the proper construction and maintenance of these critical assets. 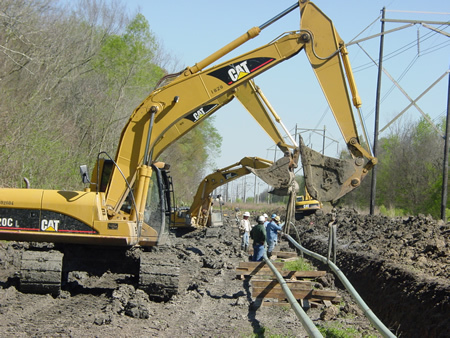 Our in-house team of Pipeline Superintendents are trained and certified to DOT operator qualifications. We specialize in pipelines and stay on top of compliance and reporting regulations. We maintain the records to meet statutory regulations, 24 hr. emergency response, and provide third party pollution and liability insurance coverage for all our projects. If your need is to stretch your capital budget or you simply want to outsource infrastructure to professionals who will insure compliance and efficient operations, Pipeline Technology may be your outsourcing solution. Copyright © 2008 Pipeline Technology - All Rights Reserved.